​eBay Title Optimizer is a new and easy way to truly understand your eBay item titles. Find your hottest keywords and generate better item titles today! GET STARTED - TRY IT FREE! 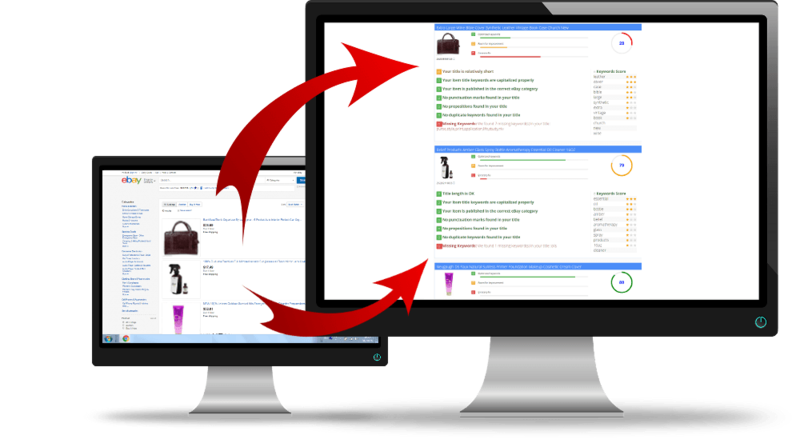 Scan and fix eBay item titles to understand how to improve your title, by visually representing keywords score, visibility and search level. How eBay Title Optimizer Works? eBay Title Optimizer uses our smart algorithm to analyze your items.